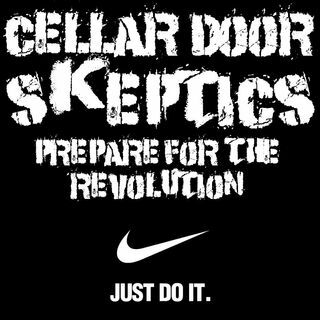 Cellar Door Skeptics Podcast started this week’s episode off by taking a look at Nike’s new campaign putting Colin Kaepernick front and center while white people start to burn their shoes. The Trump 80’s montage segment continues with a look at whether trump is openly pro corruption or if the media is just scoring views off of outrage news. They continue with a look at the Kavanaugh Hearings and how the Democrats may be trying to ... See More stop him before he can damage the Supreme Court. The show closes out with a look at two scientific articles. The first talks about how a new program in Kalamazoo Michigan is getting environmental and reusing tires to reduce the cost to the road. The second article talks about a scientific team whom are trying to enhance photosynthesis in plants to help them store more energy that could start to reduce our fossil fuel consumption.